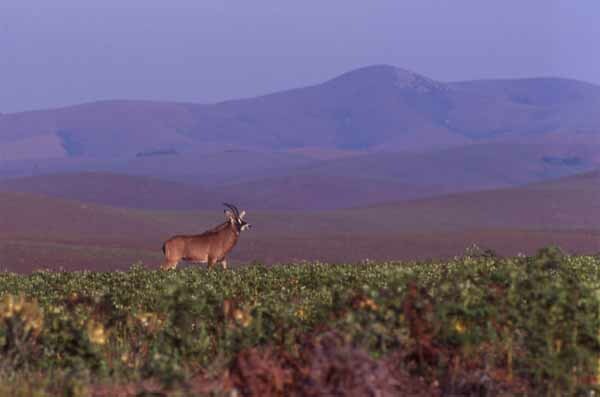 This statuesque antelope is a large, handsome animals with long, curved, swept back horns. The roan (Hippotragus equinus) is named for its color, a pale chestnut that is also found among horses. Its ears have long distinctive tufts of hair. It is rare in most places in Africa, but locally common in a few isolated areas such as Nyika National Park, Malawi, where this one was observed.